Martin Cray - Martin Cray & Co.
Martin Cray is a leading advocate and a specialist lawyer in criminal and civil law with over twenty years’ experience. He practices both in the UK and internationally for a variety of clients. Known for his meticulous and skilled preparation, he focuses on extracting the flaws in his opponent’s case, using his powers of advocacy and tenacious cross-examination to take full advantage of any weaknesses exposed. When you are in a really difficult situation, the worst I have ever faced in my life, it’s someone like Martin that you want standing right beside you dealing with the problems and simply doing everything possible to make it go away. As one of the first solicitors to gain Higher Rights of Audience he has appeared in front of the Crown Court, Court of Appeal, the General Medical Counsel and the Privy Council. Martin obtained an acquittal in the largest drugs importation case in British legal history (at that time); one of the largest mortgage fraud cases in British legal history (at that time); and obtained an acquittal on a triple murder case. He has been granted advocacy rights before the French Court in Nice and was a formal advisor to the Speaker of the House of Commons in respect of criminal matters. What I would say is that if you are facing a tough case and you need to win at all costs, call him and I think you will understand immediately. Martin was educated at Colchester Royal Grammar School and worked as an executive at the Department of Trade and Industry Headquarters in London before turning to the law. 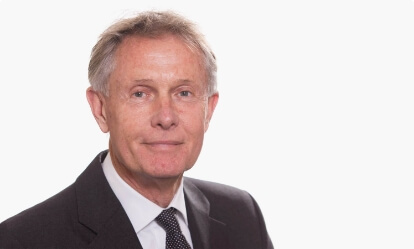 He received his degree in law from Kingston University in 1975 and then undertook his postgraduate Law Society qualification with his admission as a solicitor in 1981, founding his law firm two years’ later. In his spare time, Martin has been a secretary to a preservation society, a councillor on Brighton Borough Council, Voluntary Services legal advisor, and legal advisor to Gay Times. He lives in Rottingdean with his wife, is a father of two children, and is an enthusiastic dog walker and scuba diver. Fraud case given no further action ends successful 2018 for Martin Cray & Co.